Swenson’s Outdoors is a local landmark and good option for buying last minute gear. Located at 105 West Main Street in downtown Grass Valley. (530) 273-7315. The River Store: 1032 Lotus Rd, Lotus Ca 95651 (530) 626-3435. Heading North on Hwy 49, take a left at Lotus Rd and its straight from there to the River Store. 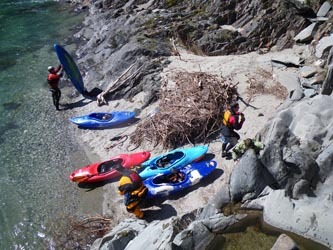 Kayaks, PFDs, paddles, helmets, and more. Sports Exchange: 10095 W. River St, Truckee (530) 582-4510 Off Hwy 80. Take Hwy 89 north from Truckee to get to Downieville.